Make a statement without saying a word. The KÜHL SILENCR™ KARGO SHORT combines innovative softshell technology with KÜHL's signature articulated design for a technical short that delivers peak performance when you need it most. 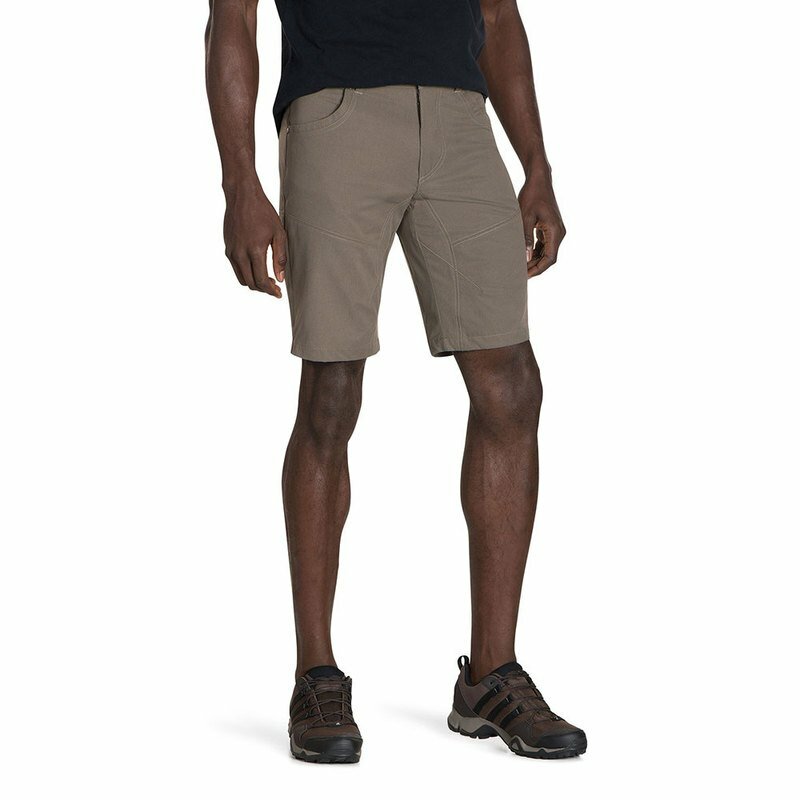 Featuring REFLEX™ SOFTSHELL fabric with DWR finish, the SILENCR KARGO SHORT boasts excellent 4-way mechanical stretch, recovery and wicking. Because REFLEX SOFTSHELL doesn't use lycra or elastic to achieve its stretch, the yarn absorbs less moisture and dries faster for year-round comfort. The durable softshell rapidly recovers and retains its shape. The gusseted crotch and 4-way mechanical stretch allow freedom of movement. The waistband is lined with soft, micro-chamois for unmatched comfort, and seven total pockets provide secure storage. Mesh zippered pockets provide ventilation. UPF 50 for sun protection.